Below is a typical eyeglass prescription. A contact lens prescription may be similar with additional measurements. The first number (Sphere) is your refractive error, measured in diopters. A minus sign (-) in front of your sphere number indicates nearsightedness. A plus sign (+) before this number indicates farsightedness (more blurring when near than distant). The next two numbers under Cylinder and Axis indicate astigmatism. If these columns are blank then there is no astigmatism. The Axis (measured in degrees) is the orientation of astigmatism on the cornea (vertical, horizontal, or diagonal). This is a Snellen Chart. It is used to test your visual acuity, or sharpness of distance vision. If you have 20/20 vision, you can see the 20/20 line standing 20 feet away from the chart. What does a number greater than 20 indicate such as 20/400? Someone with 20/400 vision must be 20 feet from an object in order to see it as clearly as a normally sighted person can from a distance of 400 feet. 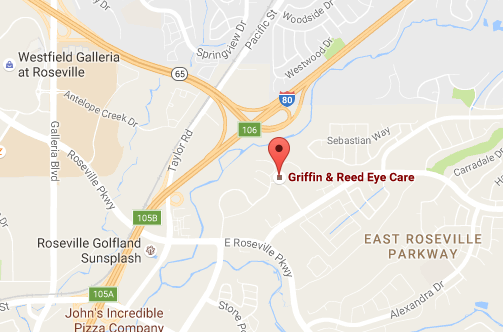 Find out more about our Optometry services and how we can improve your vision with the latest eye technology. 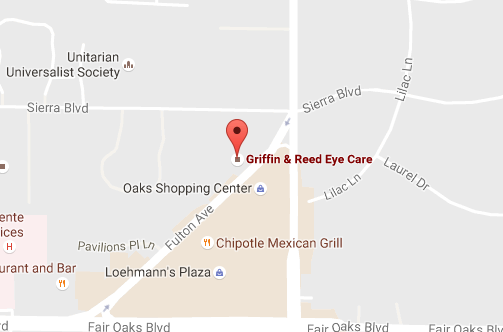 Call the Sacramento or Roseville, California office of Griffin & Reed Eye Care today at (916) 485-2020 or, if you are interested in LASIK, book a LASIK evaluation online.